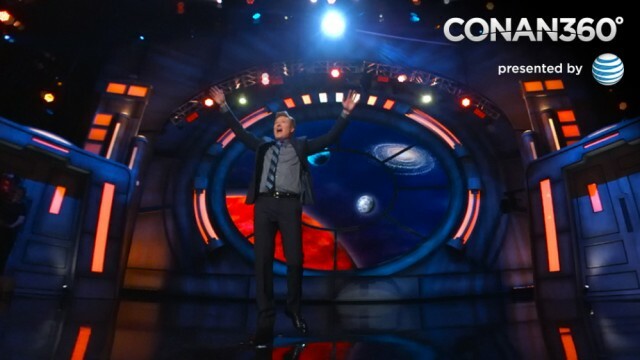 Mettle is proud to have played a key role in the recently featured Conan O’Brien 360 VR experience, presented as part of the late night show’s return to San Diego, coinciding with this year’s Comic-Con® event. We are humbled and excited by the fact that Skybox continues to be an invaluable tool for all aspects for 360/VR production worldwide. 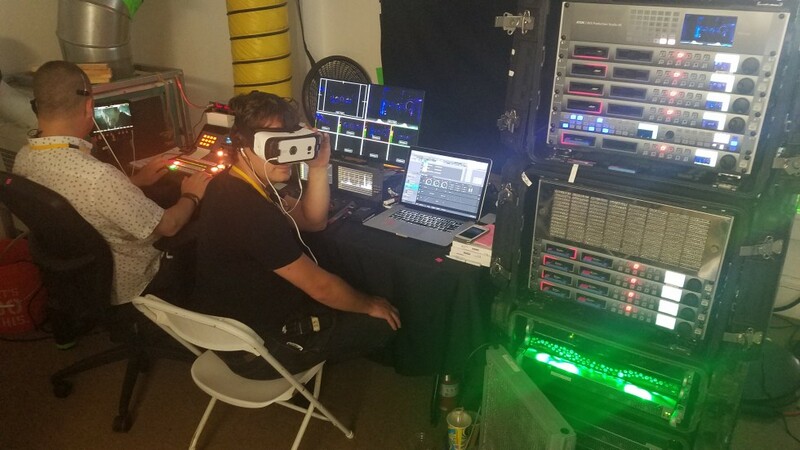 On Conan 360 SkyBox 360/VR Tools for Premiere Pro were used in a low latency live broadcast environment to add all the 360 text and graphics, and we were able to custom develop some additional tools to bring a “Directors View” into the SkyBox VR Player. 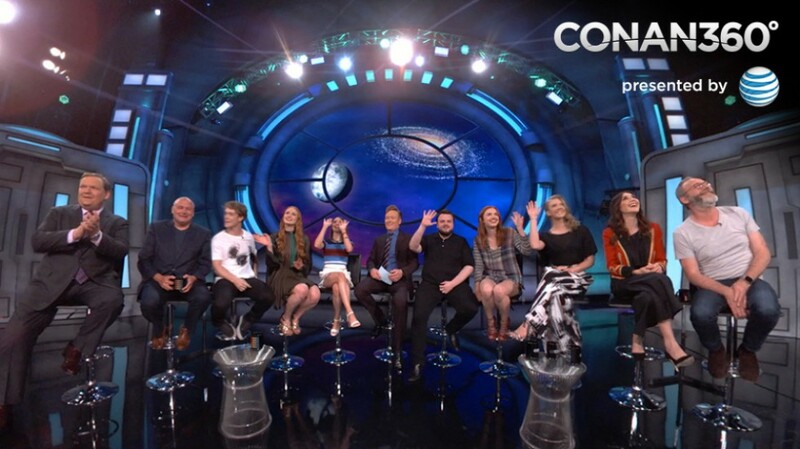 The Conan 360 shows on the TBS network embraced VR in a ground-breaking way, by not only being shot in VR, but also, distributed simultaneously in 360 via YouTube and Samsung Gear VR, with VR 360 footage also integrated into the live broadcast and through an HMD (Head Mounted Display). 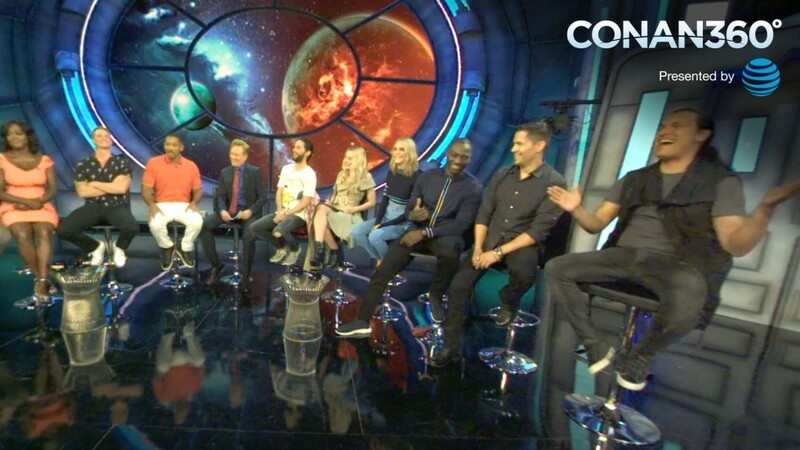 Viewers are able to see Hollywood stars Conan O’Brien, Will Smith, Jared Leto and more in multi-camera, live-stitched/ live-switched VR which was fed through an HMD that was live switched as a “Director’s View”. Digital entertainment specialist 30 Ninjas was tasked with bringing 360 content to the show, setting up their own production unit to work alongside Conan’s regular team. The four-camera Nokia OZO set-up was fed to its own control room, where it was live-stitched, graded, integrated with 360 text and graphics, and subsequently fed to an HMD which Conan’s sidekick, Andy Richter, could view during live broadcast, and viewers could see his “Director’s View”. 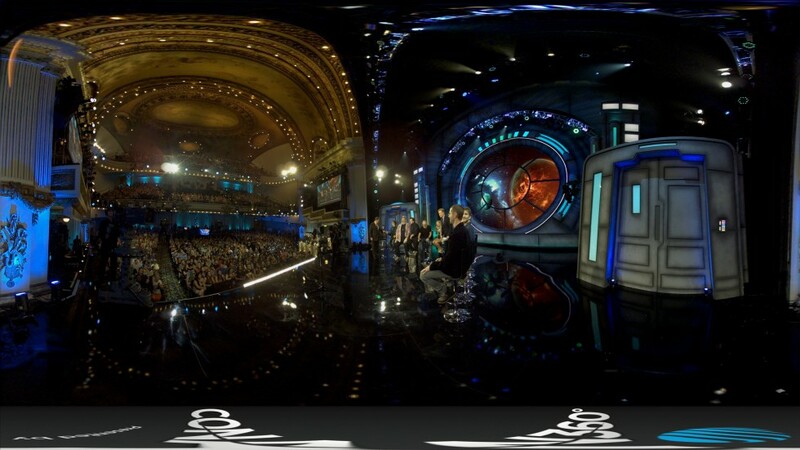 The four OZO camera-feed was set up and led to its own control room, where it was live-stitched, graded, 360 text and graphics were integrated, and fed into an HMD that Andy Richter, Conan’s side-kick, could view live during broadcast. 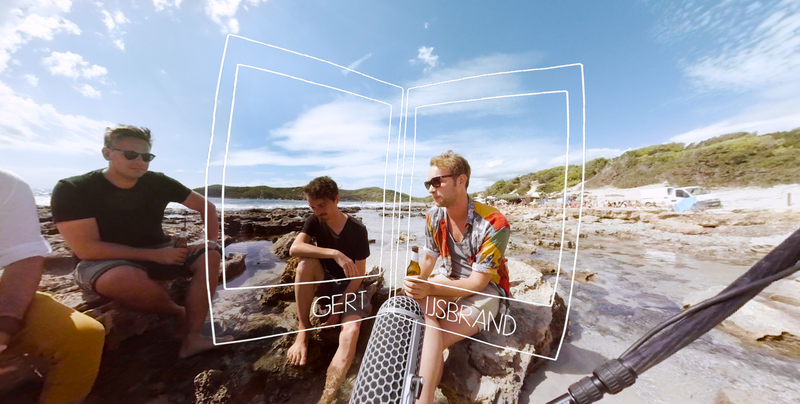 The 360 live content was intercut with the 2D live footage, for a really unique live experience. It was a 360 production within a traditional production, and it all worked flawlessly, and conveyed the excitement of the Conan show like never before. The youtube view numbers say it all; the 360 content of the same event has double the views of the traditional 2D videos. 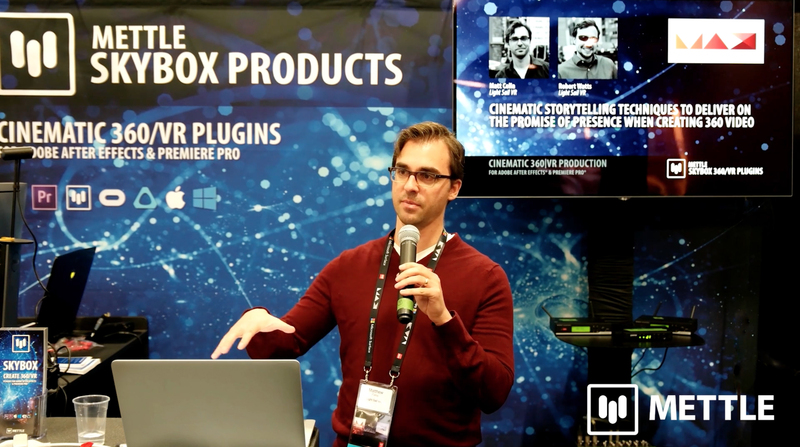 We are humbled and excited by the fact that Skybox continues to be an invaluable tool for all aspects for 360/VR production worldwide. 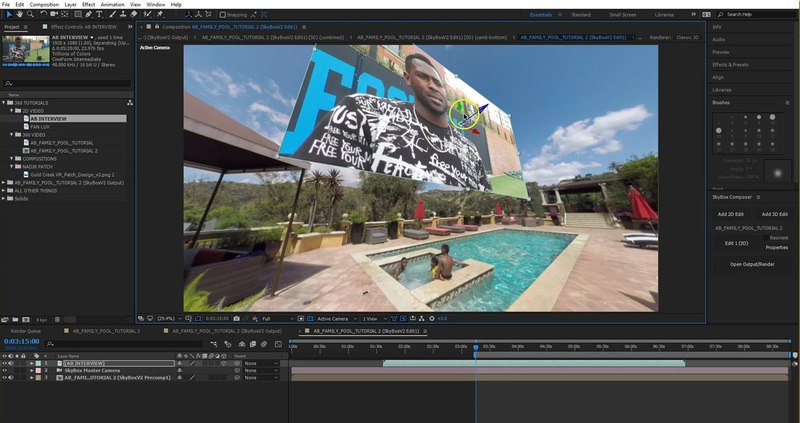 On Conan 360 SkyBox 360/VR Tools for Premiere Pro were used in a low latency live broadcast environment to add all the 360 text and graphics, and we were able to custom develop some additional tools to bring a ”Directors View” into the SkyBox VR Player. View 360 content from Conan 360. Please note: some content may not be available in certain countries. 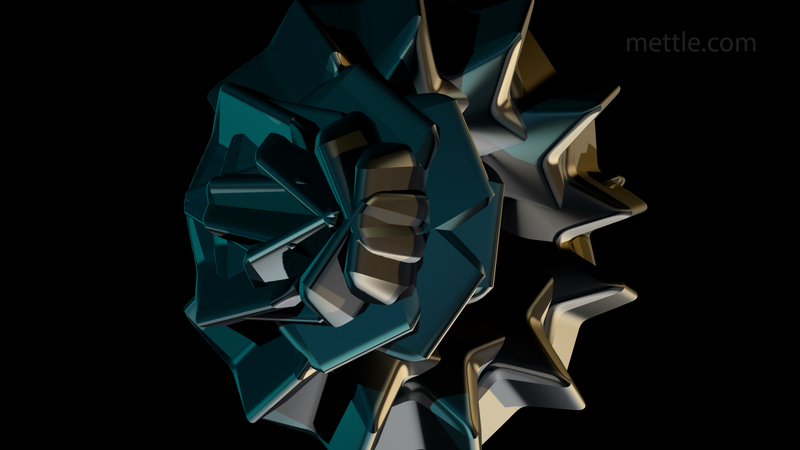 30 Ninjas is an award-winning digital entertainment company that develops, writes and produces dynamic and engaging VR, multiplatform and interactive content.